Laughlin Insurance Services is now National Insurance Solutions! Laughlin Insurance Services has recently come under new ownership. We would like to take this opportunity to welcome you as a new customer of National Insurance Solutions, Inc. While our name will be changing, the folks that have been taking such good care of you will remain to continue to help with any needs you may have. Our location remains open, and our contact information has not changed. This is simply a new and exciting chapter for our business, staff, and valued customers. Please read below to see what National Insurance Solutions is all about! National Insurance Solutions is an independent insurance agency affiliated with the most reputable insurance companies in the country. Our insurance carrier partners include The Hartford, Travelers, Nationwide, Civil Service Employees Insurance Group, and Safeco, among others. Because of our solid relationships with the nation’s leading insurance carriers, we can offer our customers multiple options to suit their needs and give them the best value for their dollar. We rely heavily on state-of-the-art technology to make the buying process as simple as possible for our customers. In addition, the technology we share with our carrier partners results in savings that we can pass on to our customers. National Insurance Solutions, Inc. was founded by Chris Bennett in April, 2003. 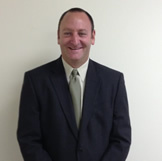 Chris started his insurance career in 1988 with 21st Century Insurance Company. 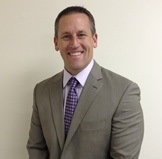 He spent five years with Countrywide Insurance Group where he served as Senior Vice President of National Sales. Chris was also a Vice President for InsWeb Corporation, a leading online insurance provider. In pursuit of a deeper knowledge of the insurance industry, Chris obtained his C.P.C.U. designation in 1998. When he occasionally finds time away from the office, Chris enjoys time with his family and friends, riding horses and running with his wife, and begging his son to call him from college, and his daughter to call him from New York. John started his insurance career in 1998 with Countrywide Insurance Services where he was responsible for the company's websites and internal applications. Throughout his 12 years with Countrywide John worked closely with the various lines of business to align their strategic goals with efficient use of technology. In January, 2010, John joined National Insurance Solutions full time to manage all technology aspects of the agency as well as business operations. In his spare time, John enjoys camping with his family. Their favorite spots are riding motorcycles in the desert, fishing in the mountains, and going to the beach. John is married and has two children. In 2003 I had an epiphany. I was a Senior Vice President at a Fortune 500 company that put its share holders’ concerns before those of their employees or customers. This "corporate mindset" is prevalent in business today as corporations focus only on what will make their next quarter look great, rather than what is best for their employees and customers. The result was predictable. After being treated poorly, our customers and employees were leaving faster than we could replace them. It occurred to me that I could easily compete with a Fortune 500 company if I put my customers and employees before my shareholders. With this simple concept, I founded National Insurance Solutions, Inc. Since our inception we have become one of the fastest growing insurance agencies in California, while never sacrificing quality. As a result, we have been able to partner with some of the most reputable insurance carriers in the country, including Travelers, Allied (Nationwide), The Hartford, and Fidelity National, among others. At National Insurance Solutions we like to refer to ourselves as an "un-corporation". It’s our way of saying that we will always focus on what is best for our employees and customers first. It’s just so simple.